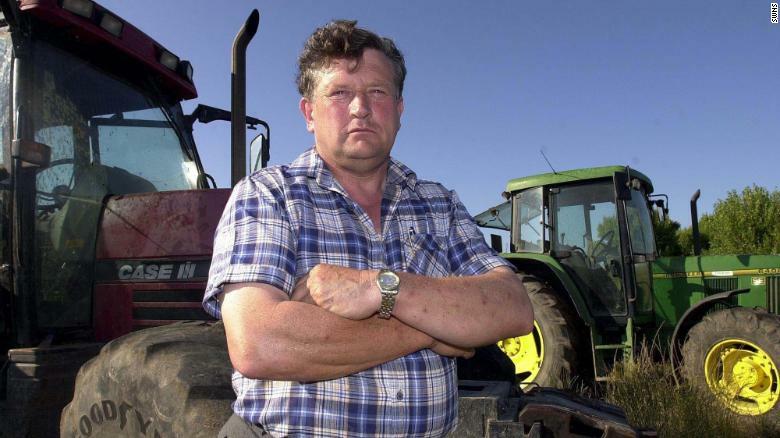 Dairy farmer Derek Mead, 70, was building a rock garden at his home in Hewish, near Weston-super-Mare in the west of England, when the accident happened in June last year, the UK's Press Association news agency reported. An inquest into Mead's death heard that he left the vehicle in neutral and didn't put the handbrake on when he got out to open a gate on his land. Mead's dog remained inside the vehicle and is thought to have jumped onto the shuttle lever, sending the truck forward and into the farmer. Recording a conclusion of accidental death at the inquest Friday, Peter Harrowing, the assistant coroner for Avon, said Mead's death was a "very tragic accident." "The most likely explanation, which I accept, is that the dog that he had in the cab with him on that day inadvertently moved the shuttle lever, causing the forward motion on the Manitou, which sadly trapped Mr. Mead against the solid gate, causing injuries which he did not survive," PA reported Harrowing as saying. Simon Chilcott, the principal investigator for the Health and Safety Executive, added that there were no other "reasonable explanations" for Mead's death. He noted that operating the shuttle lever is as easy as flicking a car indicator. "It is fairly clear in my mind that the lever must have been in neutral when Derek left the cab, otherwise he would have realized the machine was moving and done something to rectify it," he concluded. Mead's son, Alastair, told the inquest that he was driving down a lane near his family home on the day of the accident when he spotted that his father had been trapped by the vehicle. "We stopped, and I could see Dad's legs at the front of the machine," he said. "I could see that he was trapped. He was crouched down, facing the machine as if he had turned to see the machine coming towards him and ducked, trying to avoid it." Mead's family told the inquest that he was "doing what he loved" when he died.